Gives 30 days to citizens to file suggestions and objections; environmentalists call it land grab. The state government is set to rob Mumbai Metropolitan Region of yet another green zone in the name of Metro Railway. 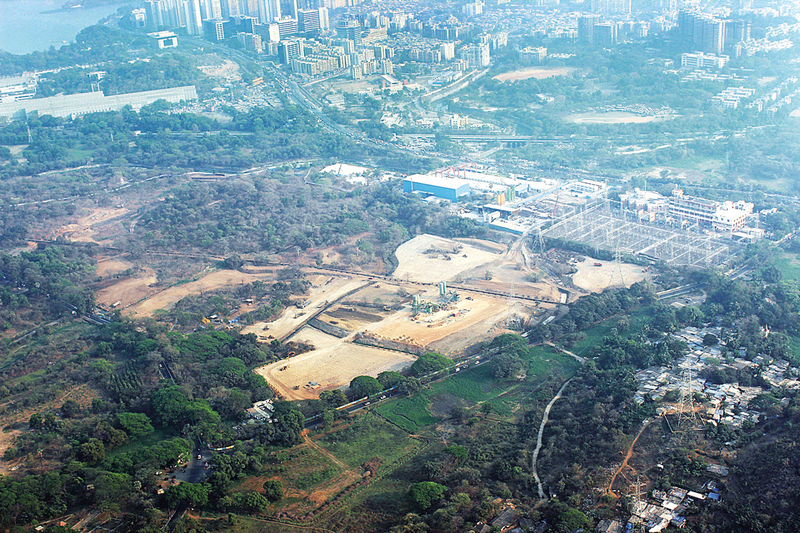 This time around, the state has proposed to modify the reservation of 40 hectares of forest land in Kavesar and Vadavali villages in Thane to build a carshed for a Metro Line being developed by the Thane Municipal Corporation (TMC). The circular metro rail route proposes to connect the old congested areas in Thane with the newly developed ones. It will have 22 stations and will be linked at Dongripada to Line 4, which runs between Wadala and Kasarwadvali on Ghodbunder Road, and at Majiwada junction to Line 5, which is proposed in the Kalyan-Thane-Bhiwandi section. Starting at the New Thane station, the line is proposed to connect the densely populated area of Wagle Industrial Estate in the district’s Lokmanyanagar with Vijaynagari at Waghbil, before turning back through Kolshet, Raboli and Thane station. In the next four years of construction, the total expenditure on this line is expected to be around Rs 11,000 crore and it will cater to around 5.76 lakh people by 2022. The advertisements published in newspapers earlier this week gave citizens 30 days to file suggestions and objections to the TMC’s proposal. Earlier, the state government allocated 33 hectares of land at Aarey Milk Colony for the carshed of Mumbai Metro’s Line 3 which proposes to connect Colaba in south Mumbai to SEEPZ in the north. The environmentalists have launched a pitched battle to save green zones from turning into a concrete jungle but their efforts have yielded very little results at the various judicial forums. 2017 Thaneweb. All Rights Reserved.